Hi Everyone, I hope you had a lovely Christmas with those you hold near and dear. Can you believe it's the eve of the last day of 2015? It feels like it was just yesterday that I was sitting on the beach with my sister and Mr. Frugalista enjoying a bottle of wine during our Summer vacation! As I do at the close of every year, I spent some quiet Me time reflecting on the blessings, gifts, lessons, and challenges of 2015. 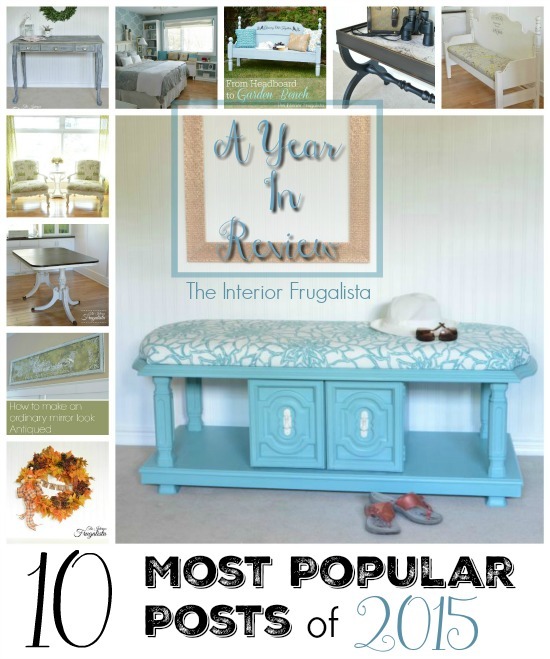 In the spirit of reflection, today I'm sharing the 10 Most Popular Posts of 2015 on The Interior Frugalista. When I checked my blog analytics, some of the posts that made the list surprised me. 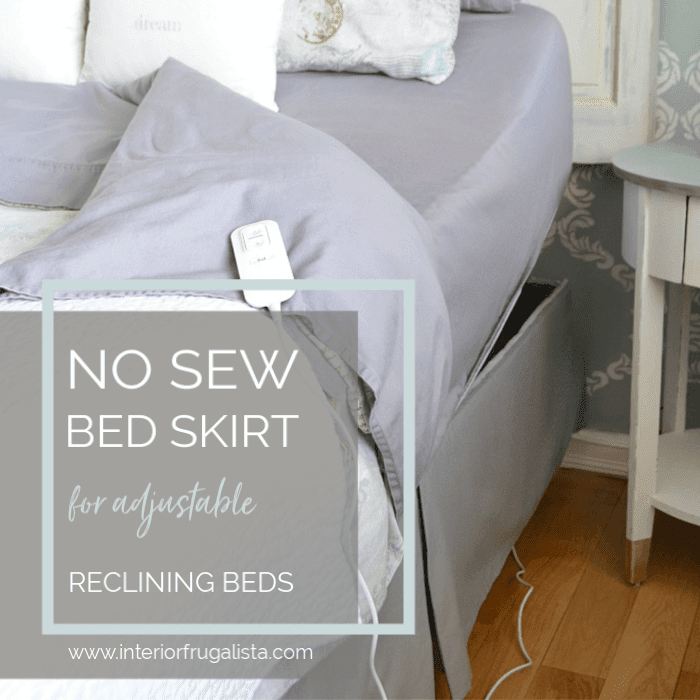 You think the posts that were the most time consuming and challenging would be the ones that would make the list, but oftentimes it's the quick and easy projects that are the most popular. 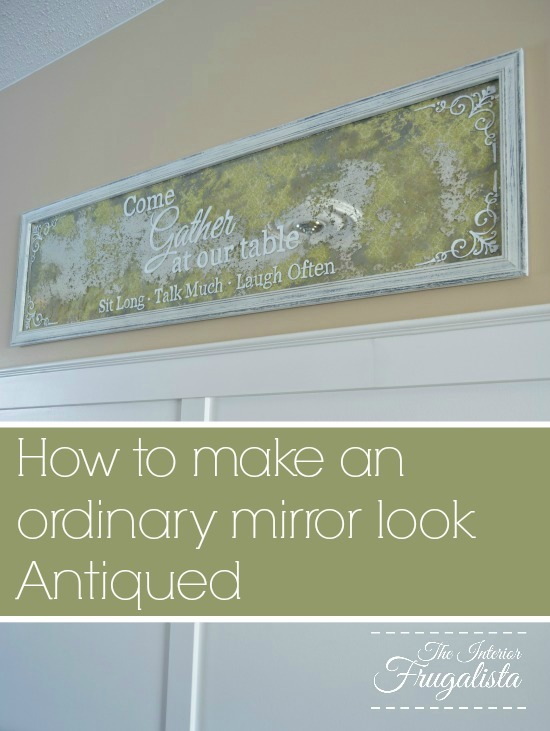 I turned an inexpensive mirror purchased at Wal-Mart into fabulous wall art for our dining room. 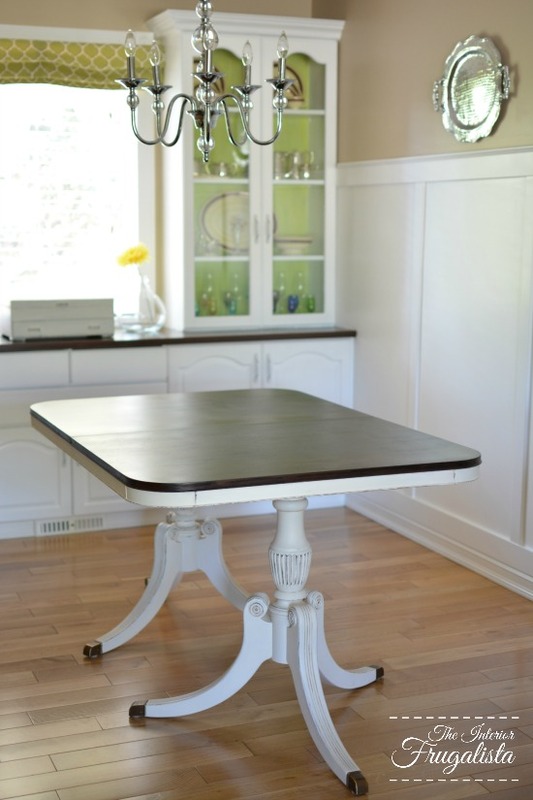 It was so easy to make and has become the focal point in our dining room. This was a fun makeover! 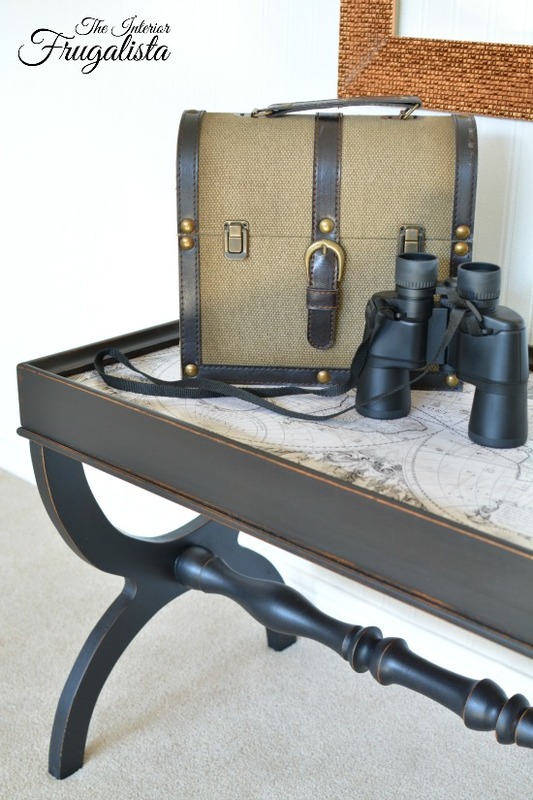 I used Old World Map wrapping paper, black chalk paint, and dark wax to transform a table that I picked up at a local online auction. We bought a headboard and footboard for a great price one summer afternoon and stored it under a tarp for the winter. A little critter decided it made the perfect All-You-Can-Eat-Buffet! 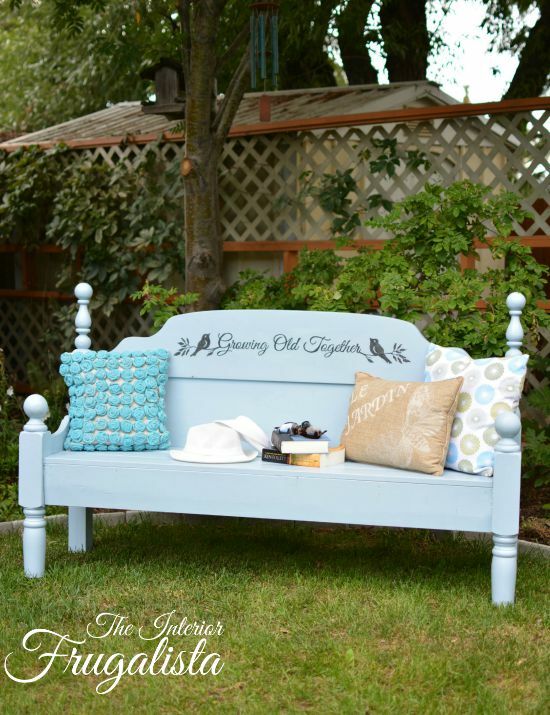 After some DIY TLC, it made the perfect garden bench. I did the happy dance when we picked these armchairs up on Kijiji for a song. 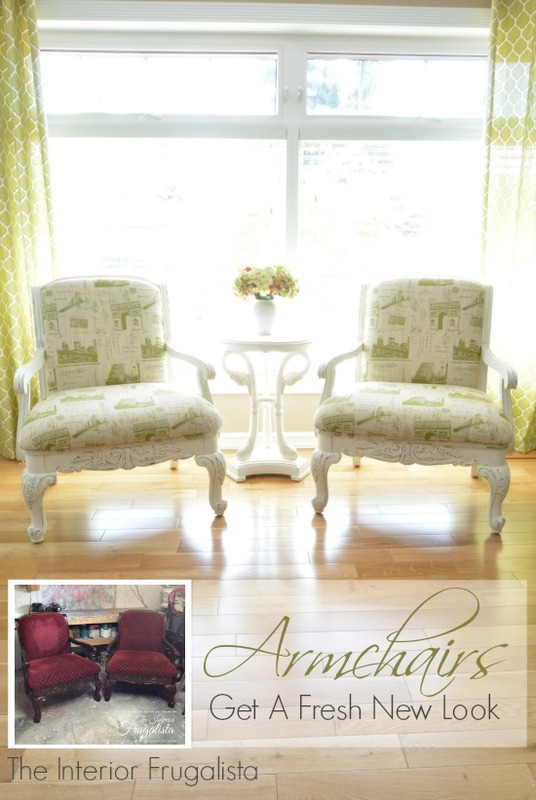 After a makeover with chalk paint and new upholstery, they made a perfect pair for in front of our living room window! 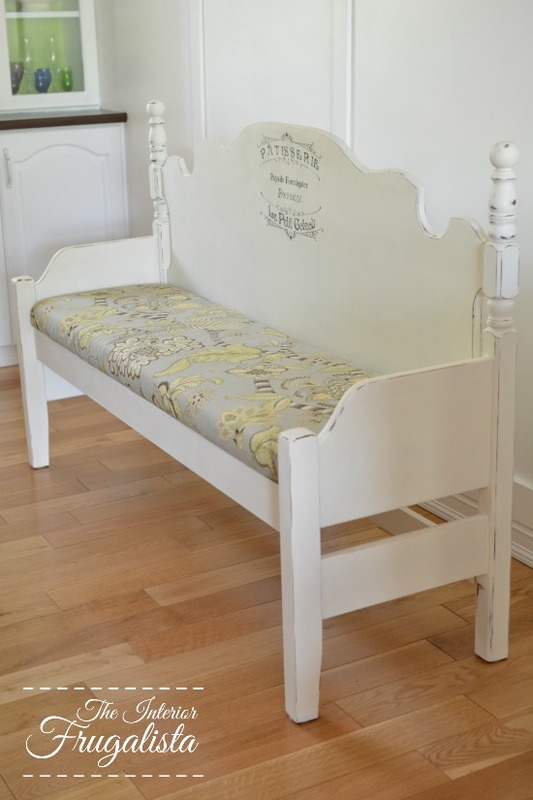 When we picked up this headboard and footboard at a thrift store, I knew they would make the perfect bench for our Duncan Phyfe Style Dining Table. This is one of those projects that surprised me with its popularity. It took all of 15 minutes to make and I almost felt guilty posting it in the Fall Ideas Tour. We picked this Duncan Phyfe style dining table up at Goodwill for under $50.00. I knew as soon as I saw it, that its new home would be in our dining room. I'm thrilled with the results of the makeover and how beautiful it looks with our built-in china cabinet! This small Secretary Desk was one of those red stained mahogany pieces with brass hardware that were so popular in the day. When I got my hands on it I gave it a makeover with a Parisian flair. Think Bombay Store meets Restoration Hardware! Since buying this house almost two decades ago, I had envisioned a window seat overlooking our back yard. We are fortunate to have a private yard with mature trees that backs onto a green belt. When we had the window opening enlarged and the window replaced, my vision became a reality. I made this bench for my son and his girlfriend for their new home. It's been a hit both on my blog and in real time. I'm happy to report that it's held up well in their high traffic front entry. 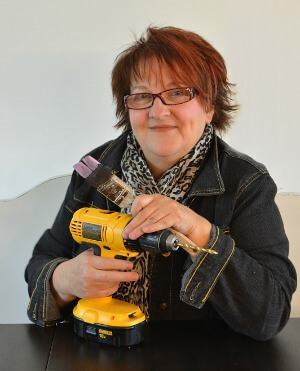 It has been such an amazing blogging year and so much fun to look back at all the projects completed over the year. What I've enjoyed most, are the friendships and connections that I've made through this little corner of the blogosphere. I would like to take this time to give a BIG Thank You to each and every one of you for taking the time out of your busy lives to stop by for a visit. 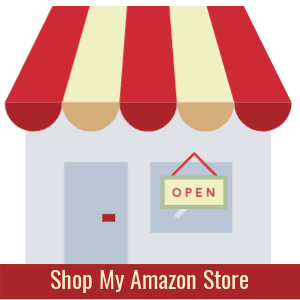 I value your friendship, readership, comments, support, and encouragement more than you know.